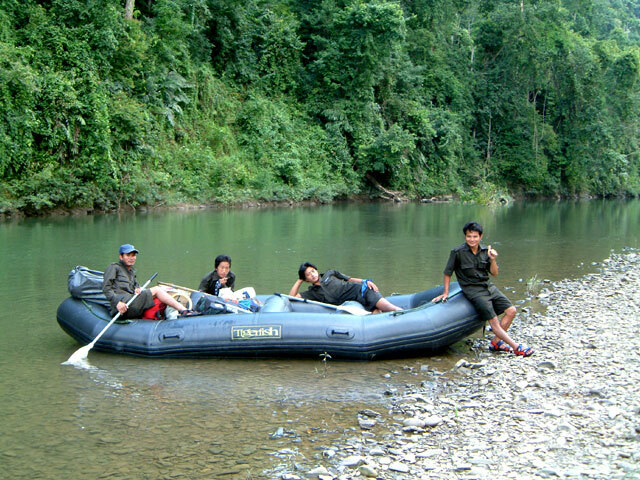 Tours can either start, visit mid way or finish at a selected remote riverside camp location. 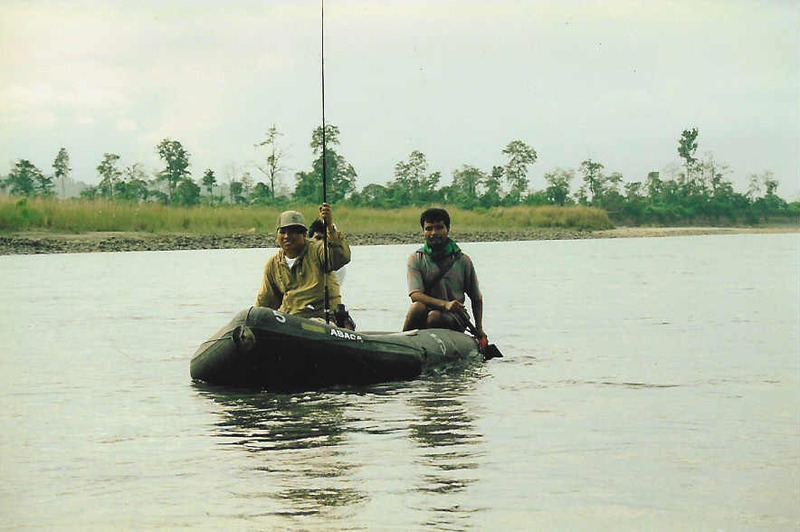 Our mahseer fishing tours are all float down circuits, river journeys travelling down stream between a selected start point and finish point. 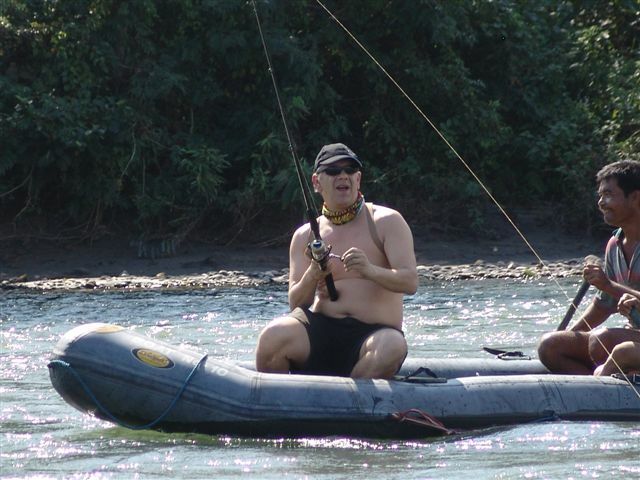 On our spring fed river circuits fishing clients travel in a small purpose designed fishing raft, one rod per raft paddled by two boatmen who will be assigned to a guest on arrival at the camp and will accompany them for the journey, they have knowledge of navigating the river and the location of the best fishing pools. 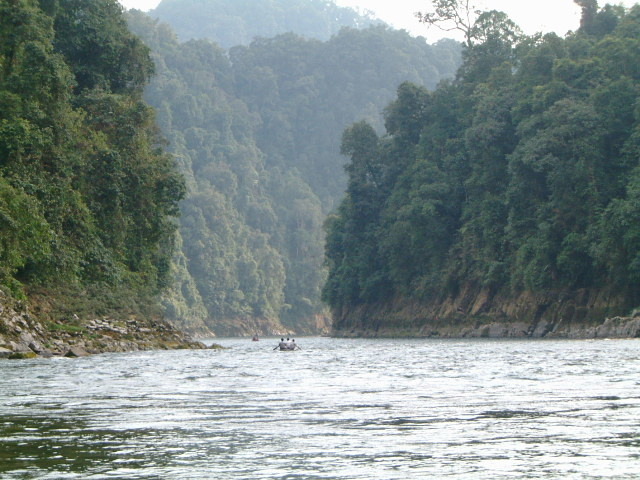 Some of the rivers that can be selected for the tours have a number of rapids on the journey downstream. 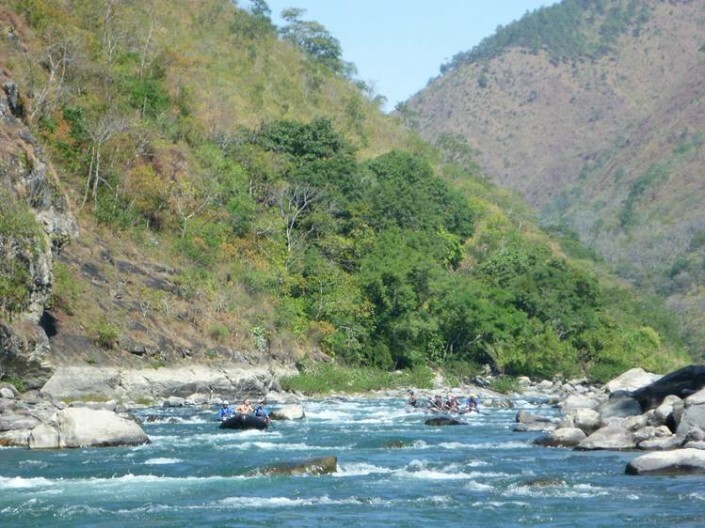 Any large rapids that are unsuitable for our small boats to pass through are avoided by simply trekking around the rapids along the river bank, the boatmen and bearers carrying the boats and equipment to a location downstream of the rapids where the boats are put in the river again to proceed downstream. 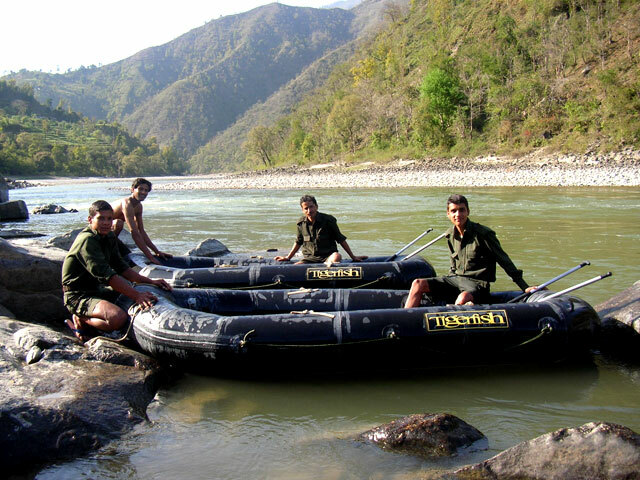 Fishermen or adventurers preferring white water float downs on large glacier fed rivers utilise the latest rafting and safety equipment, we travel with the most comfortable mobile camp equipment for such conditions. 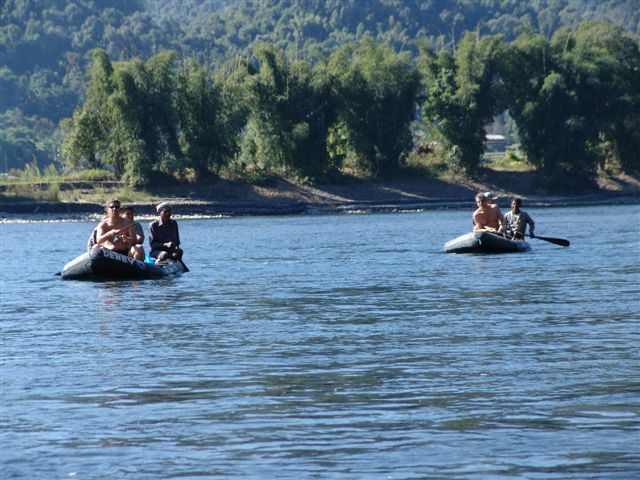 Circuits are selected by the clients prior to booking that offer a minimum of 20 kilometres to a maximum of 80 kilometres between start and finish points of the selected river. 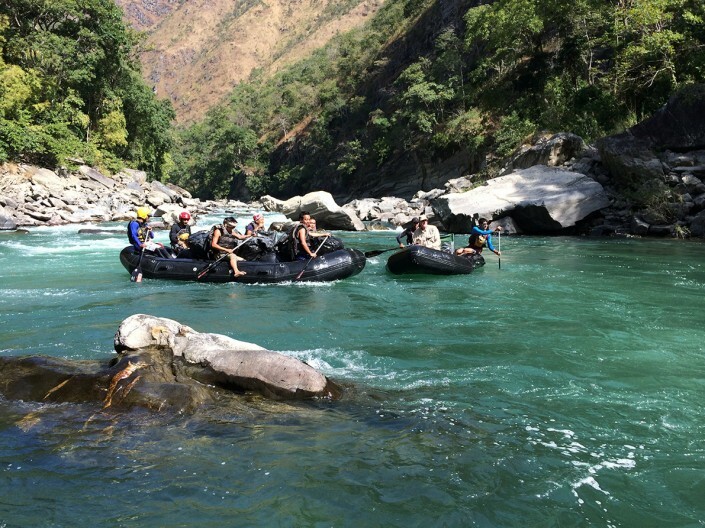 All river locations are remote places of outstanding natural beauty, every effort is made to ensure that the client party is removed from other visitors in the extremely unlikely event any should be present in the vicinity. Relaxation, easily devised by the client in such a setting, seems to be the main activity. Whilst not watching the abundance of local bird and wildlife or sunbathing whilst boating gently downstream, the rivers have a myriad of palm shaded beaches concealed amongst huge boulders that rise from the water’s edge, which if not already selected for a night camp, provides a stunning setting to stop for lunch, read a book or sketch. A minimum of two pre-selected locations such as this will be our overnight campsites whilst travelling downstream. 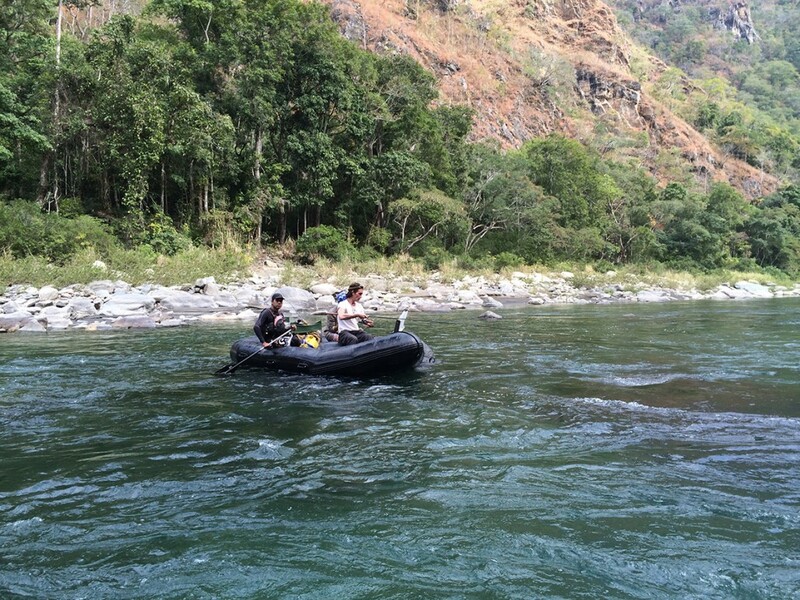 Catch and release mahseer fly fishing is a main feature of our Himalayan foothill river tours. 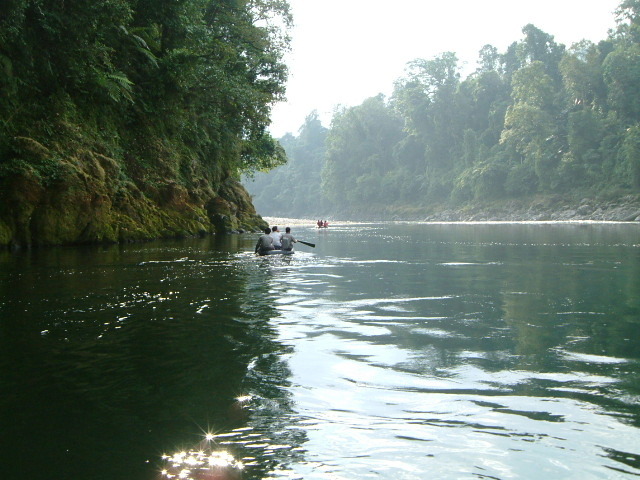 Arunachal Pradesh and Nagaland North East India: Rivertribe tours a number of rivers in Eastern Arunachal Pradesh and in Nagaland. The rivers run from Tibet and Myanmar. After the monsoon from mid September the river flows at a torrent and at their highest and then slowly recedes at mid December to a slow sedate pace and on some rivers the water level reduces to a string of shallow pools. The weather turns cold from January for six weeks or so but we start to tour again mid-February with the return of warm temperatures providing pleasant trekking and fishing conditions until the end of May when we close operations for the coming monsoon. 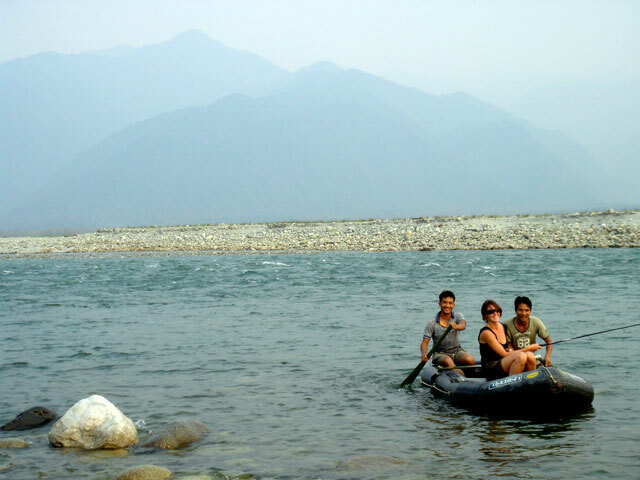 The Garwhal and Kumaon Hills Uttaranchal North India: the glacier fed Ganga and Kali and spring fed Saryu River have the same climate and water conditions as with North East India through both seasons.